Heavily-praised guitarist John Renborn - regarded around the world as one of the godfathers of British folk - is known for effectively, and fluidly, co-mingling influences from such disparate genres as jazz, blues, classical guitar and Eastern-tinged world music. The musician Stefan Grossman, on the other hand, trained at the hands of gospel guitar maestro Rev. Gary Davis and pulled predominantly from country blues. 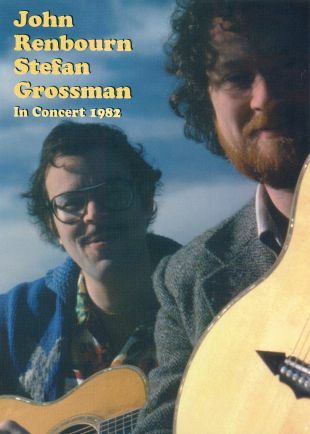 Those men team up for an electrifying joint session, before a live audience, in the performance film John Renbourn and Stefan Grossman in Concert 1982. Selections include: "Trotto," "English Dance" and "Goodbye Porkpie Hat."